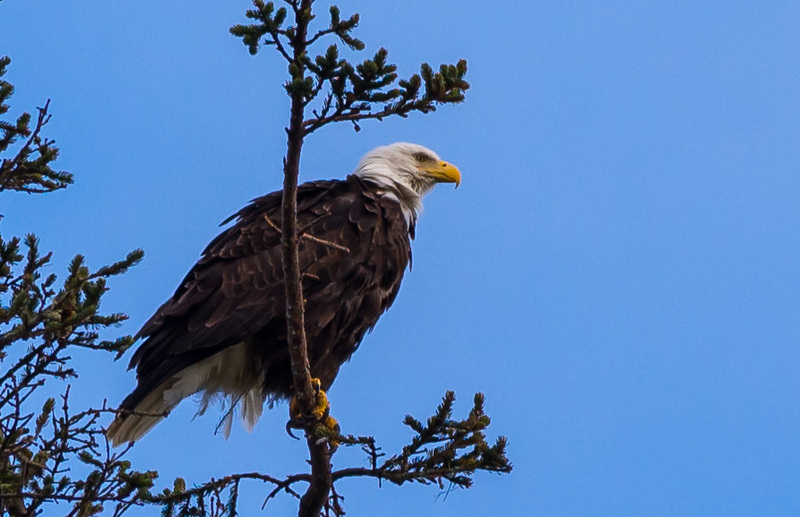 Remember how Robyn spotted an eagle while we were still setting up the coach at our site in Waldport? She spotted a second one, and the way it interacted with the first, she figured they were mates. Took her a couple days to find their nest. I couldn’t get a useful picture of the nest…even though it was in a tree right in front of a house and the roadway had to bulge around the tree! It was waaaay up there and nicely surrounded by foliage. But we caught dad in a nearby tree. Tried to catch him flying, but nooooo.